Kingdom Hearts III was one of the surprise announcements at this year’s E3 and at the Japanese D23 Expo, alongside the Kingdom Hearts 2.5 ReMIX announcement, we got a first look at some gameplay for the third outing. It’s not much besides a couple playable scenes, starting off with Sora, Donald, and Goofy fighting in Traverse Town from Kingdom Hearts II. The graphics do look noticably smoother and they look more eye-popping. 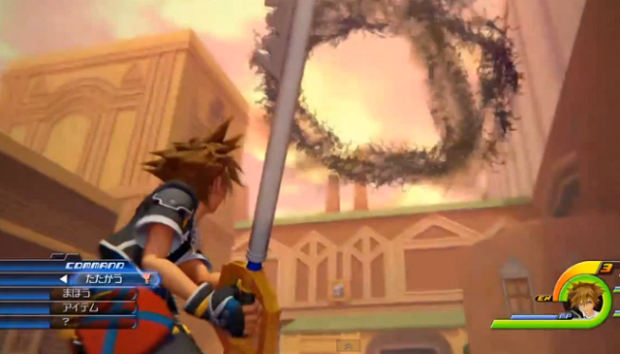 You’ll also notice that Sora’s Keyblade splits into two guns, allowing him to shoot fire spells at the Heartless. We don’t have a ton to go off of here but at least it’s progressing. The gameplay looks nice but hopefully we’ll see more of the Disney and Square Enix worlds. No release date in sight but it’s coming to the PlayStation 4 and Xbox One.